"Kitty" is the nickname my friends termed for the lava monster audio-animatronic found on Journey to the Center of the Earth, Tokyo Disney Sea's landmark E-Ticket attraction found inside its Mysterious Island area. It's an ironic nickname, of course, because this creature is anything but cute and cuddly and furry. He appears after guests have descended deep into the core of the earth and boarded steam powered mine cars and explored a fascinating and bizarre subterranean world that has been discovered by Captain Nemo (tied in from the nearby 20,000 Leagues Under the Sea attraction and the prominent character of the Mysterious Island mythology at the park). Now, this climactic moment is scary to some, as the monster roars and lunges right before a volcanic eruption rescues riders by sending them back to the surface and out of Mount Prometheus, but I think the lava monster is misunderstood. In the deep, dark recesses of the earth, Kitty has probably just been lonely all this time, and all he really wants is a hug. Unfortunately, people keep running away. So alas, Kitty gets no hug. 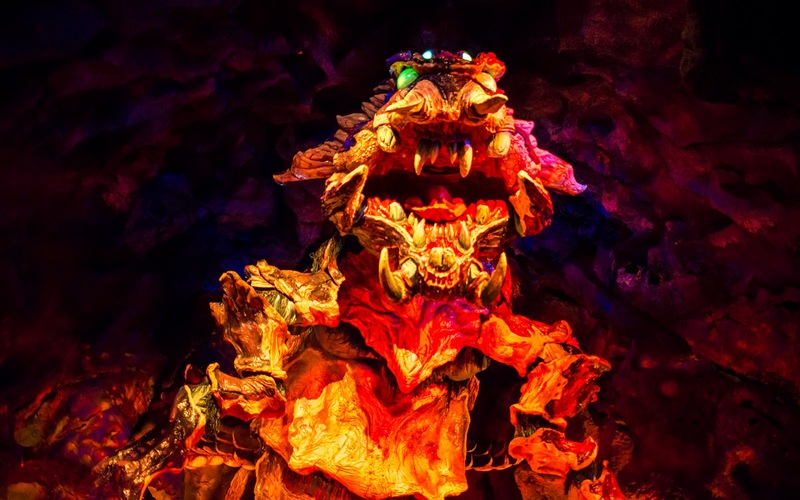 The lava monster confronts riders at the climactic moment of Journey to the Center of the Earth.